Are you looking for a way to make your project unique? Choose your reveal! Install with up to a 1/2" gap between boards. Shiplap can be installed vertically or horizontally on walls and ceilings. It's also reversible -- smooth on one side and rough-sawn on the other. The Beaded T&G is available in both 4″ and 6″. When installing, these can also be used as a V-Joint! These versatile profiles provide many installation options. WILD HOG RAILING was designed with your landscape in mind. Our rolling hills and topography lend itself to beautiful views and panoramic landscapes. No longer do we have to block those views with bulky plastic balusters or high maintenance wood pickets. 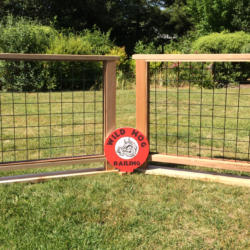 Wild Hog Railing is a new product specifically designed for the consumer. 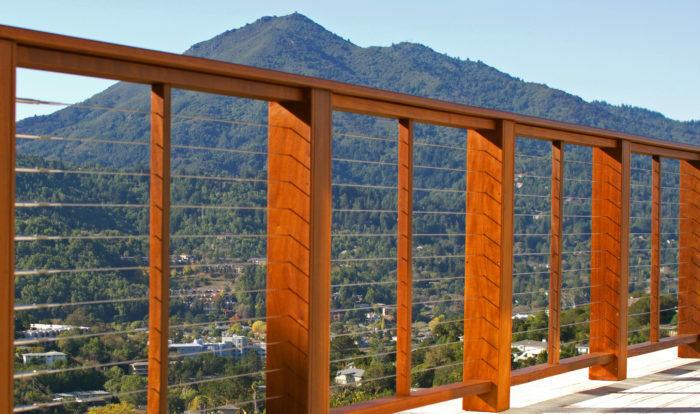 Originating from big and bulky welded hog panels, our smaller size panels are perfect for any railing application. With a 6 gauge welded 4″x4″ mesh pattern Wild Hog Railing allows for great visibility and while being extremely durable. Refined with your view in mind. Nichiha fiber cement siding products are versatile and workable for your building project needs. To accommodate varying tastes, many siding options and assorted looks are offered. Nichiha’s broad range of textures and colors combined with truly inspiring performance makes it the perfect match for whatever you’re building next. RDI Metal Works is a blend of essentials used from the other RDI lines. Metal Works has hidden attachments with easy installation and a lustrous satin finish. These elements are combined together to create RDI’s first fully metal railing and powder-coated galvanized steel railing system. All of RDI’s vinyl and metal porch and deck railing products are designed, engineered, and manufactured from their own time-proven concepts. 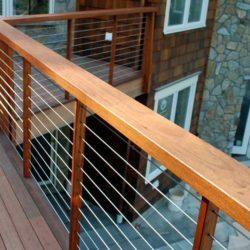 This economical steel railing line from the RDI Metal Works has hidden attachments, easy installation, and it includes a sleek finish. Unparalleled Value. Proven Reliability. Quality Assurance. 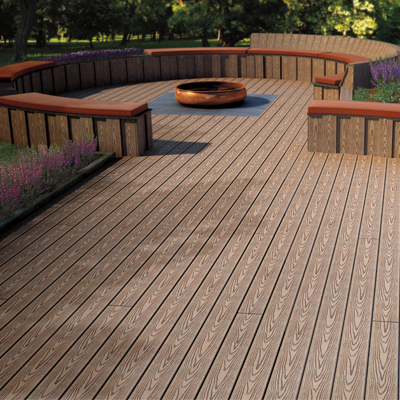 WOLF Decking offers all the advantage of premium performance without the premium price. Now, with five distinctive collections to choose from, you can enjoy a more attractive low-maintenance deck year after year. 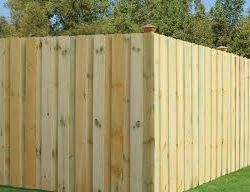 Wolf PVC Decking is strong and lightweight, featuring polyvinyl chloride (PVC) and an acrylonitrile-styrene-acrylate (ASA)capstock for superior durability. It will not split or rot, and is resistant to mold, mildew and insects. Wolf Capped Composite Decking is made from a combination of wood fiber and plastic, resulting in a board that will not warp, crack or swell. 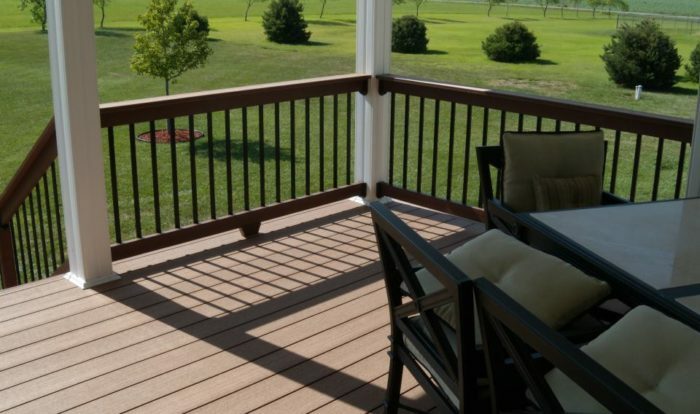 Low-maintenance capped composite deckboards are highly resistant to the sun’s damaging UV rays. In the fastener marketplace, SIMPSON Strong-Tie stand apart from the rest. Quality and reliability is top priority. They hire PHDs, metallurgists materials engineers, and structural engineers to create the best possible fasteners. And why each production run goes through rigorous testing to ensure our products can handle higher loads, resist corrosion, and make installation more efficient. SIMPSON Strong-Tie continues to broaden their construction solutions to give you the power to build. Stainless Cable Assemblies that Enhance Any View! Standard Cable Assemblies are sold in pre-cut standardized lengths and are easily trimmed to size in the field. Custom Cable Assemblies come with complete line of swaged and swageless fittings for any railing project. Intermediate Pickets, Accessories, and Tools are available to complete your railing project. There are many ways in which Feeney’s quality is superior. Feeney products only use type 316 marine-grade stainless steel for cables and fittings and high strength 6000 series aluminum with state-of-the-art powder coating finishes for railing and trellis. Feeney makes it quick and uncomplicated to research, order, and install products. Valued for Its Character, Sturdiness, and Availability. Whitewoods can be painted or stained and come in a variety of sizes, grades and accents which can be added to create a unique design. Whitewoods are easy to work with so you do not have to be a pro to install. 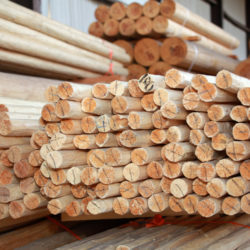 A Valuable Commercial Timber Species for Building and Woodworking. Whitewoods can be painted or stained and come in a variety of sizes, grades and accents which can be added to create a unique design. They are easy to work with so you do not have to be a pro to install. Whitewood has long been a valuable commercial timber species for building and woodworking because of its character, sturdiness and availability. Designed to Take Outdoor Living to the Next Level. Vintage is a Finger Jointed Knotty Pine Trim and Fascia product with two coats of latex primer. These products are available in 1×4, 1×6, and 2×4 through 2×12 S1S2E. These products can be custom created to fit a variety of sizes and applications. The wood is sealed on all sides to protect against the outside elements as it is meant for exterior use. Round Beams and Small Straight Sticks. Vigas are round beams generally called poles or logs and latillas are small straight sticks. They are common in southwestern construction and form the ceiling and roof supports system in traditional pueblo architecture. 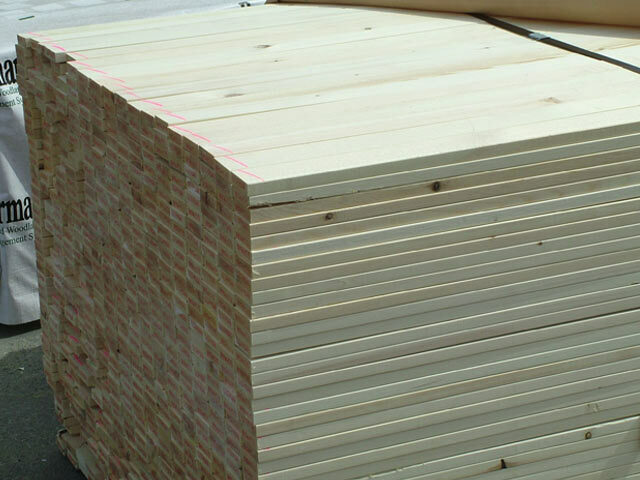 It is common to use vigas in log construction and as joists. The latillas have been used for fencing and as rails. Edge – Feel the Difference. 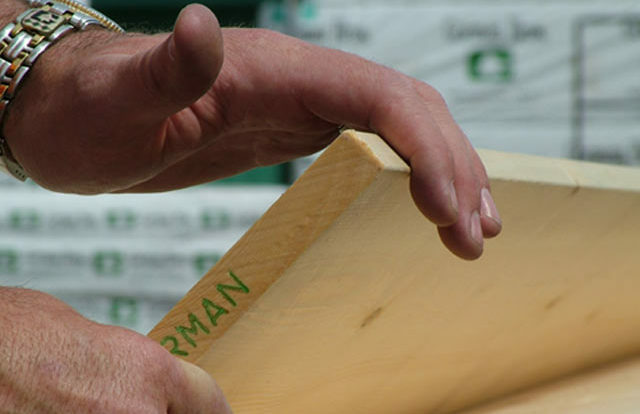 Gorman Bros.' signature edges are smooth and splinter-resistant. As a result, there is no need for sanding, they’re easy to stack, and they look great. Gorman manufactures high quality ESLP products in a variety of lengths and sizes in multiple patterns. These products have a natural beauty with soft edges and a smooth finish. Quality Products for Stronger, Safer Structures. USP supplies quality fasteners to build stronger, safer structures showcases connectors, anchors, and epoxy for your outdoor building needs. They offer epoxy and anchoring systems along with corrosion protection. USP offers more than 4,000 SKUS made in the USA, backed by professional engineering, technical support and a North American sales team. 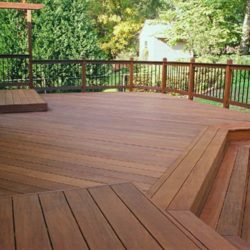 Starborn was one of the first companies to recognize that decks have evolved into individualized statements of modern residential living and that the quality of a deck fastener plays an essential role in the stability, the finish and longevity of a deck. Smooth with a Refined Texture. This exotic hardwood has a rich color and texture that provides a beautiful finish to any project. It comes in a variety of tones of brown, red, orange, and yellow. Mahogany is hard, strong, naturally resistant to rotting, and dent-resistant. The overall appearance is smooth with a refined texture. It is known to be a long-lasting natural wood with a furniture-grade finish plus it’s generally free of any knots. A Beautiful Finish to Any Project. Exotic hardwood with rich color and texture that provides a beautiful finish to any project. It comes in a variety of tones of brown, red, orange, and yellow. It is hard, strong, naturally resistant to rotting, and dent-resistant. The overall appearance is smooth with a refined texture. It is known to be a long-lasting natural wood with a furniture-grade finish plus it’s generally free of any knots.